No I have not brought a cow. I have discovered how to make Almond milk! We have been buying Almond milk and noticed that the almond content seemed incredibly low at just 2% This led me to wonder about how this type of milk was made and if it was possibly to do it myself. In a lucky piece of timing, the tutor on my health and nutrition course sent us a video last week of herself making a green smoothie that included her making her own almond milk-perfect! So this morning I gave it a go and I am happy to report that it is quick, easy, cheaper than buying the cartons and very very tasty. Step 3. The next morning, rinse them carefully. 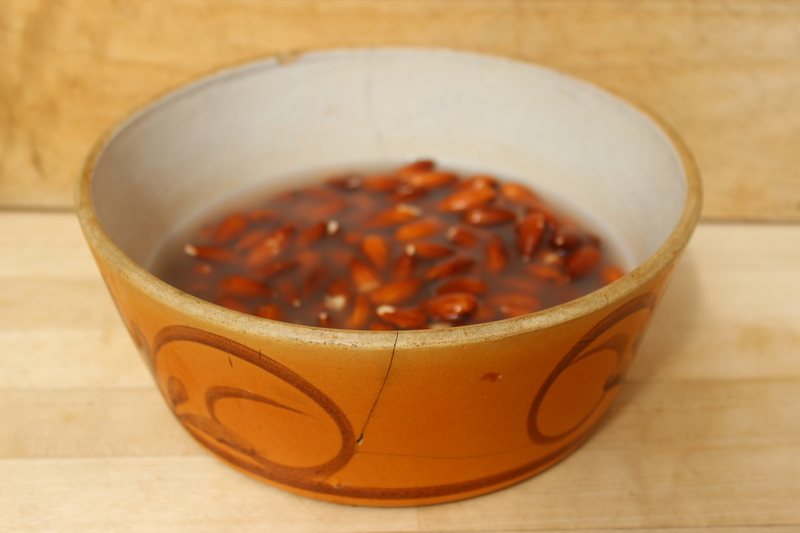 You need roughly 1 cup of soaked almonds to 3 cups of cold water. Step 4. 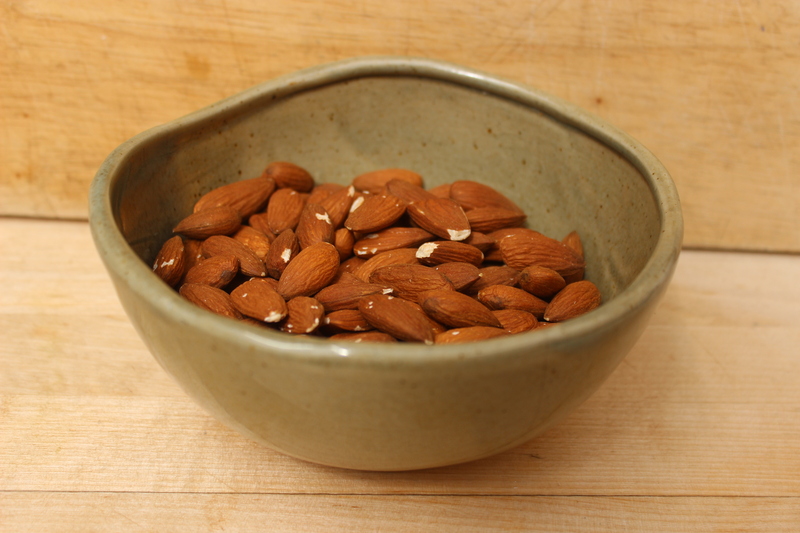 Put the almonds and water into your blender. Blend on high for a few minutes. Step 5. Pour the milk into a sieve lined with a muslin. 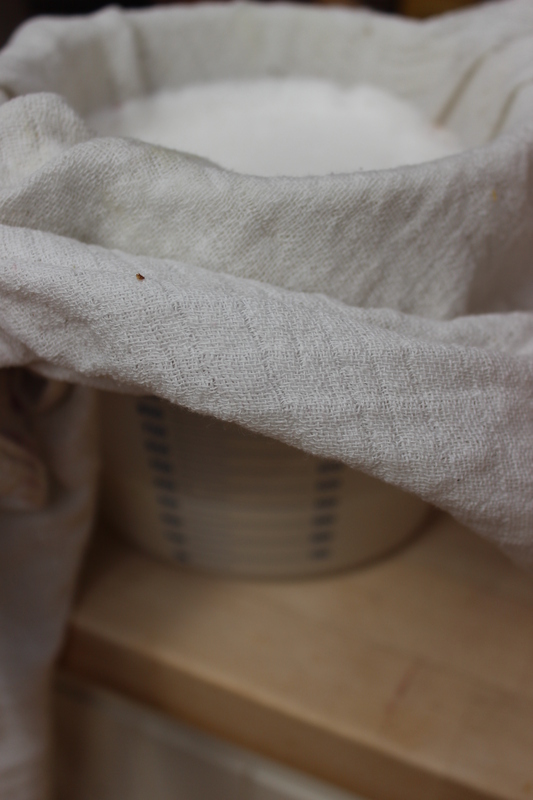 You can buy special nut milk bags but I found this worked just as well as didn’t cost me any money- which is always good! Step 6. 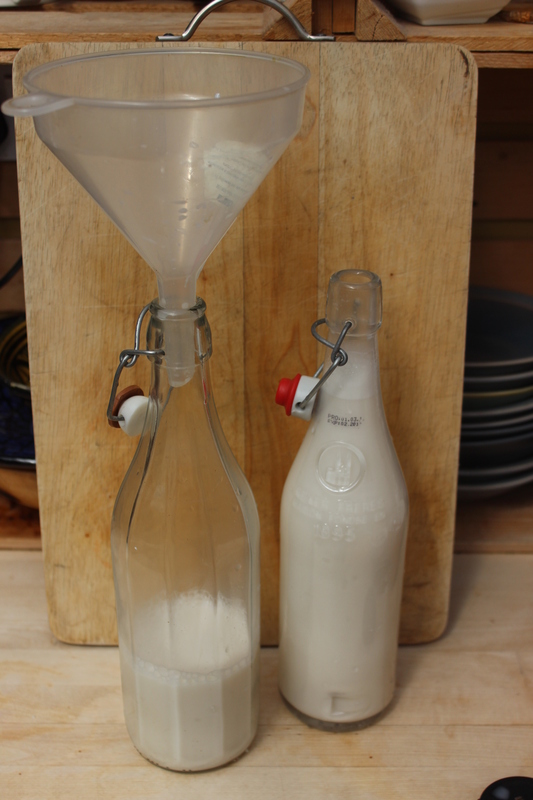 Pour the milk into a glass container through a funnel. I am using re-purposed lemonade bottles. Store the milk in your fridge, I think it is ok to keep for 3 or 4 days, but it is so tasty I don’t think it will last that long. Step 6. 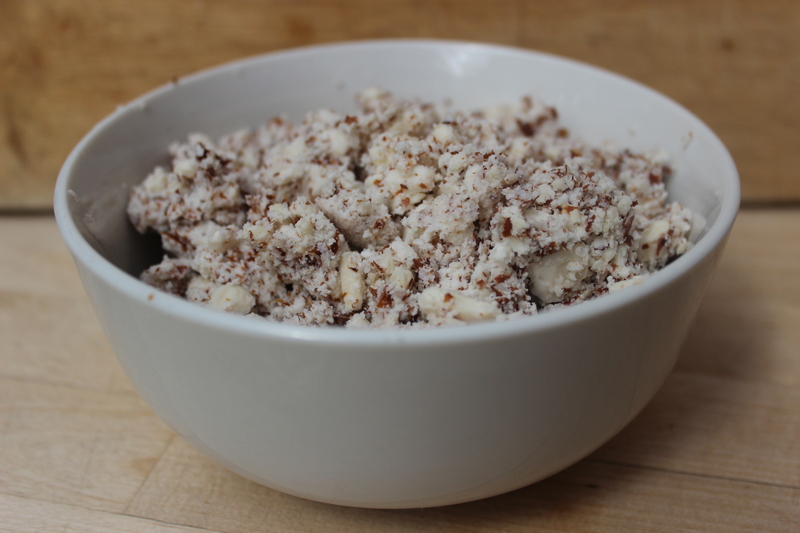 The almond pulp can be used for baking, composted or I may feed mine to the chickens. Step 7. 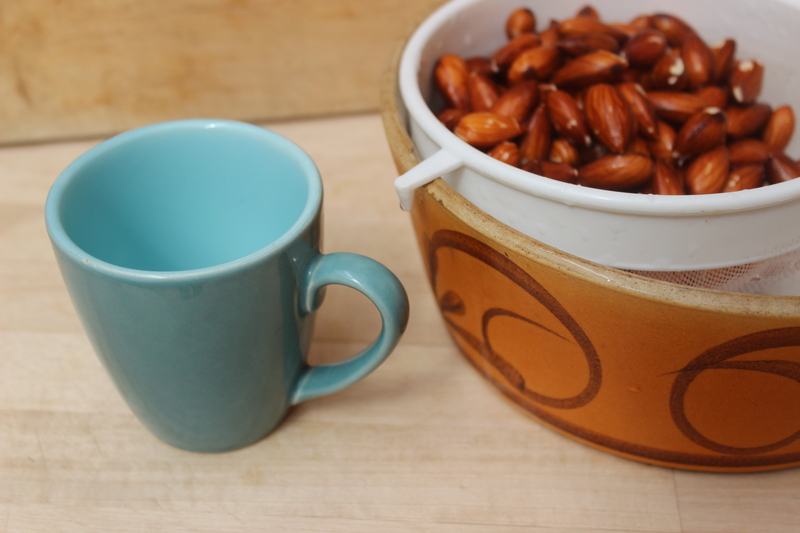 Enjoy in your cups of tea, poured over cereals or in a hot chocolate! This entry was posted in Uncategorized and tagged Adventures in whole foods, almond milk, food choices, Permaculture, Permaculture Diploma, recipes by emilycrofton. Bookmark the permalink. That’s very useful! I might give it a try! I hope you do its great. We have drank it all already- 24 hrs later!